When I saw this West Elm gold flatware on various blogs and online, I was enamored. I would frequently stop by my local West Elm store and debate. I had a perfectly good set of Pottery Barn flatware, so really I didn't need to invest in another eight-setting piece. But, eventually I caved in, spent around $240 and set them aside. I knew I would be moving to another city, I didn't want to get them out only to pack them up. They ended up gathering dust in my air-conditioned closet for nine whole months. When I moved into my new place in Austin, it was like an early Christmas. I excitedly got them out and proceeded to give my boring flatware to my family members. 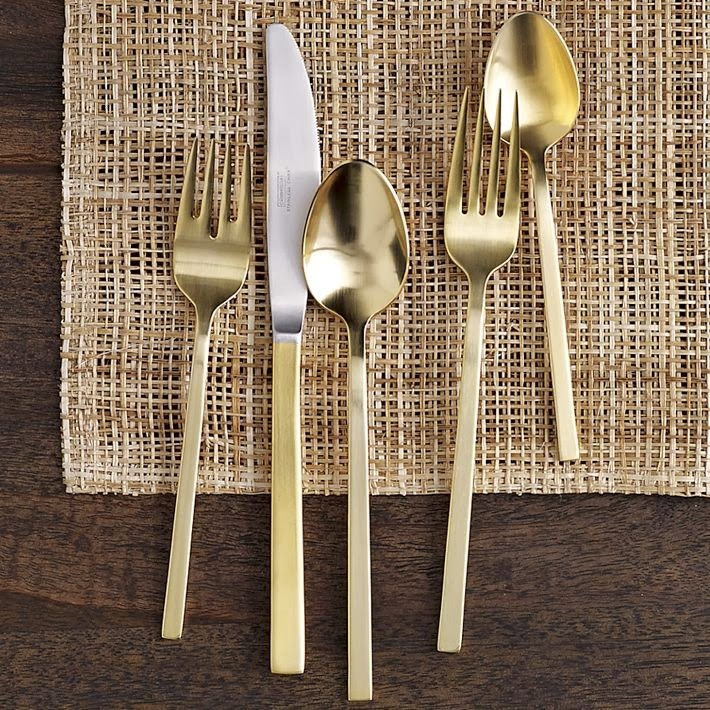 Yes, I had West Elm's gorgeous gold flatware, who needed the others. Well, less than two weeks later I noticed small brown spots forming on the gold flatware. I tried not to make a big deal about it. I didn't put them in the dishwasher again. I tried to baby them. I tried multiple cleaning products. I had an online conversation with West Elm customer service to see what products to use and to not use. However, the tarnishing continued. It looked like the pieces were rusted. It had been so long since I purchased them (at that point it was August) I didn't feel comfortable calling customer service. Although technically I had only been using them one month. So, I went to Target and purchased a set that cost about $20. Sadly, I bring the cheap flatware out when friends are over. As time went on and I opened my drawer to see this beautiful gold flatware just sitting there, I decided to call customer service today. It had only been a little over a year since I purchased them. I decided to call and see what, if anything could be done. Even though the purchase was made last year, surely this product should last longer than that. Or, maybe they could offer tips to make them look better. Well, I called West Elm and they said they couldn't do anything about it. They had never heard of the flatware tarnishing and really, "who knows how I had stored it or used it." So, in essence, it wasn't their problem. But, they would offer me 15% off if I wanted to repurchase another set. REALLY. Guess I learned my lesson. No more West Elm. You have to be able to stand by your product and to me, this isn't right. 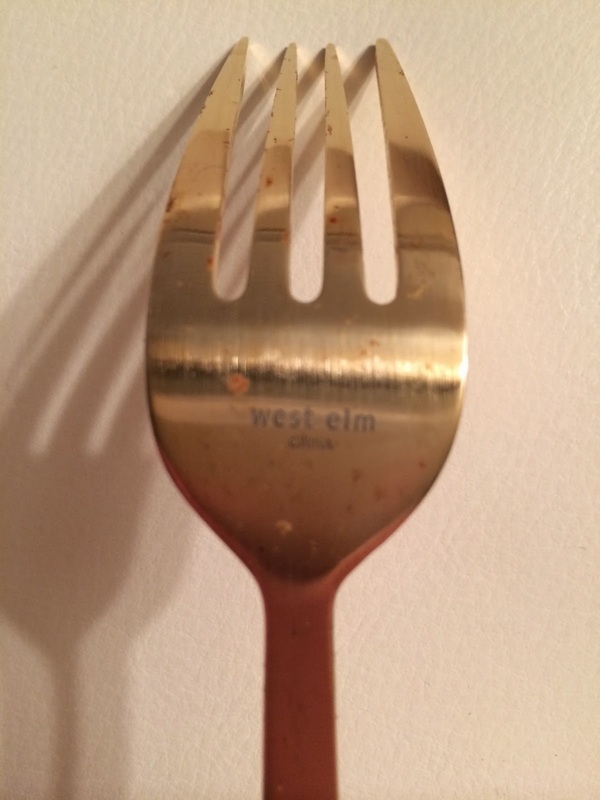 So, if you're thinking about purchasing the gold flatware from West Elm, don't do it...even though I noticed it's on sale! As a matter of fact, I wouldn't purchase any flatware from them. Who wants to replace flatware every year, or even every two years. I know I have other places I'd like to spend my money. I just hope my experience helps others with gold fever. 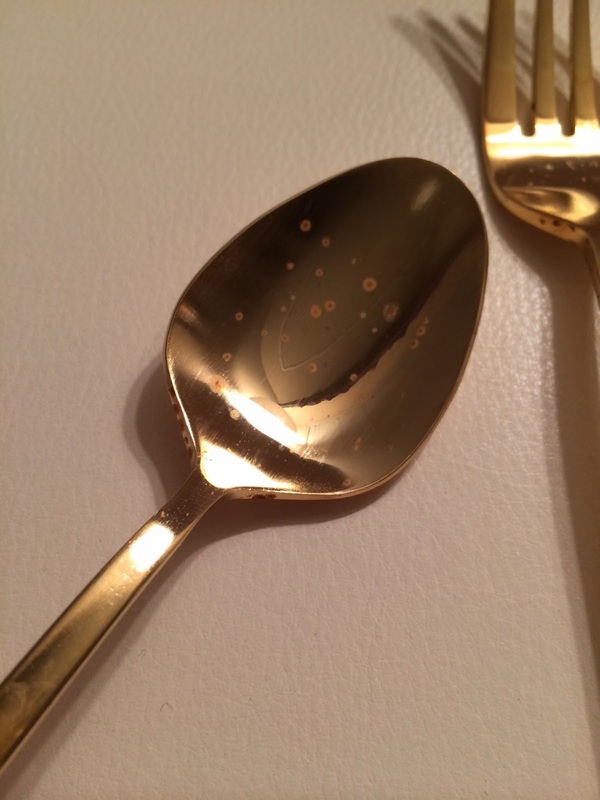 Ugh, I'm dealing with the same problem right now, I bought the Rose Gold Flatware from West Elm a month ago, and immediately a few pieces started tarnishing after one use. I got them replaced, but now I'm seeing that those three pieces weren't an aberration, a bunch of the pieces are tarnishing. It's such a disappointment, I assumed that the price would be an accurate indication of the quality, but I guess not. 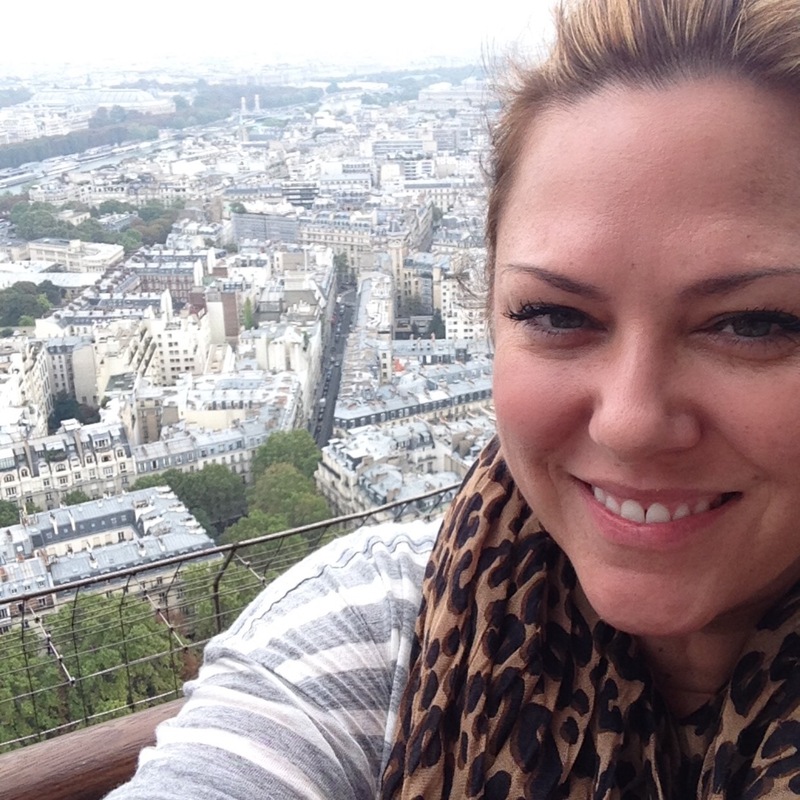 Sorry to hear Jaclyn! It's SUCH a bummer when you spend that much money. I honestly would have just liked a solution, not necessarily a new set. Or even a customer service rep that said "I'll make sure this feedback goes straight to our internal team..." or something like that and maybe some empathy that I wasted my money. Instead just a discount to buy more faulty flatware. And, West Elm has ignored me on Facebook, Twitter and Instagram...such a shame. For what it's worth, I waited for Horchow's hammered flatware to go on sale...I probably spent about the same as you. That was in 2009 and they are GORGEOUS to this day. Had the exact same thing happen to me in addition to the gold wearing off. I called West Elm and they said I had to bring it back to the store to return it and that they would definitely take it back. But the manager refused to take them back without a receipt. West Elm puts out cheaply produced, disposable products AND has poor customer service. I'd rather take my $ to Ikea, thanks. Wish I'd seen these comments before purchasing from West Elm. I am currently in "negotiations" with customer services, as it's 8 months since purchase. The flatware is made of cheap 18/0 stainless steel. The zero means zero nickel, which means zero chance of them not rusting. The box says "Dishwasher safe" so the product is clearly not fit for purpose.